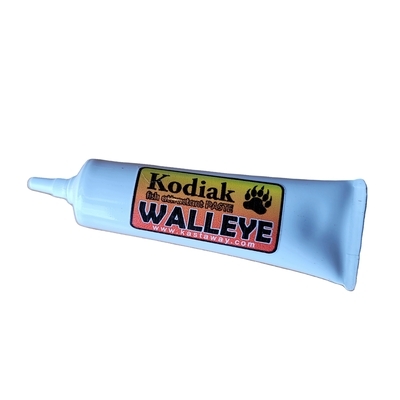 Kastaway.com :: Kodiak Paste Lg. Really holds on to anything that you are casting or trolling. Apply to any hard or soft bait, even fill your tube jigs with it! Awarded "Best New Scent" 1995 International Sport fishing Expo.